The Milkman’s Matinee is back on Metromedia Radio! The Milkman’s Matinee started out in 1935 running 2:00 AM – 7:00 AM. It was an all request program on WNEW-AM. Its first host was Stan Shaw. In a studio perched high above Madison Avenue, Stan Shaw, along with an engineer and an assistant, stood watch over two turntables, a microphone, 10,000 records and two telegraph receiving machines taking 250 request telegrams each morning. Most came from Manhattan. 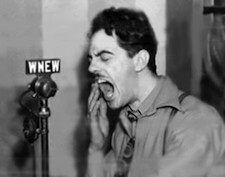 By 1942 a new man was behind the mike, Art Ford. 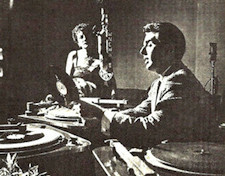 Art hosted the show till 1954. 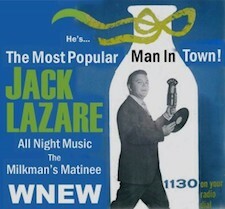 After Art, Jack Lazare took over and was a Milkman until 1963. 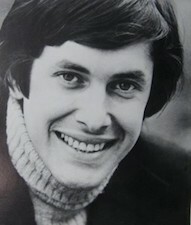 In 1976 Bob Jones re-launched the show. 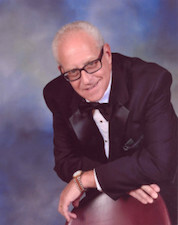 Bob took over the evening slot replacing Bob Hickok on “The Nightmare Show”. Soon Bob started to transform the time slot: “I brought my own personal copy of “The Milkman’s Matinee” theme and played 50 of the greatest records I could think of starting with “Because of You”. 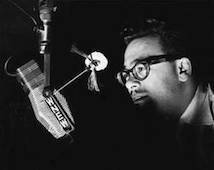 In 1981 Al “Jazzbeau” Collins returned to WNEW to host The Milkman’s Matinee. Upon his return he created a new illusion, Jazzbeau was now broadcasting from his inner sanctum, a place known as the Purple Grotto. Later in 1981 Marty Wilson was hired as the weekend host of the ”Milkman’s Matinee” and shortly thereafter became the full time Milkman following in the footsteps of a Jazzbeau and the other great hosts. Marty introduced a number of features during that time including an audience participation novelty called “It Could Be Verse” where listeners would try to guess what song was playing just by listening to the verse. Marty would be the last host of the Milkman’s Matinee when he left WNEW in 1986. Now over twenty five years later in 2013 Metromedia Radio is producing an automated stream called The Milkman’s Matinee! The show features some of the finest music ever to be broadcast on radio. We blend the artistry of talents like Sinatra, Bennett, Ellington, Basie, Fitzgerald, Damone, Steve and Eydie, Torme, Keely Smith, Jack Jones and Nat King Cole. In addition to being broadcasted on the Metromedia Radio’s stream airing in 60 countries across the world, Metromedia Radio is syndicating The Milkman’s Matinee to terrestrial stations across the US. Show production allows for various syndication options of 1,2,3 and up to 6 hour runs in order to give station managers various run time options. A late night show: it’s perfect for stations looking for other broadcasting options beyond talk and current popular music play.